Rolling road tests in a wind tunnel use a moving belt to simulate the relative motion of the car and the road. This is particularly important when ground clearance is minimal. 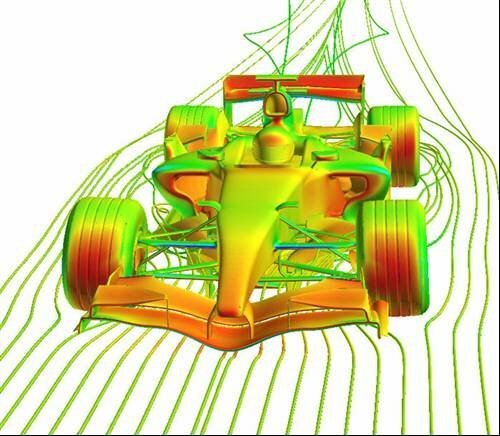 Wheel rotation and underbody flow characteristics can cause drag or counteract the downforce created by the rear wing.